Winter view of mountain ski resort complex Pamporovo in Rhodopes, Bulgaria. 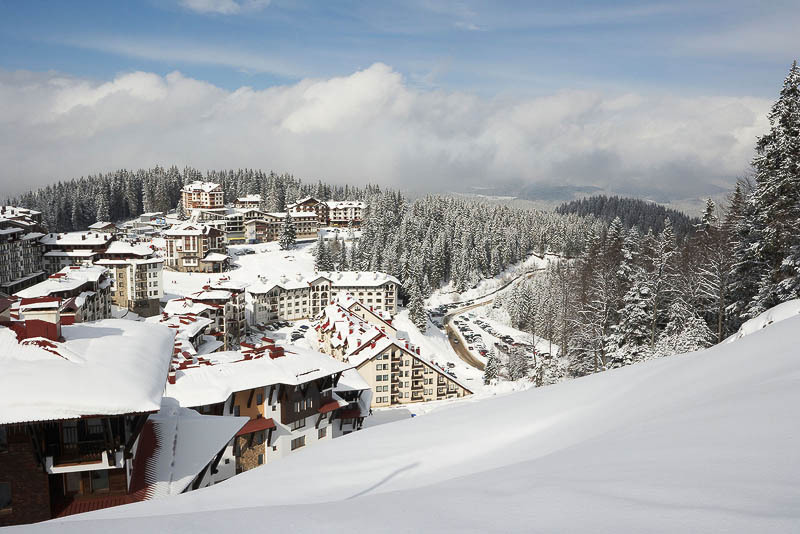 Covered with snow hotels and houses of high mountain ski resort complex Pamporovo in Rodopi mountain. Winter landscape of mountain ridge with pine forest and buildings. Bulgarian tourist ski destination. Resort complex for winter tourism, vacation and holiday.